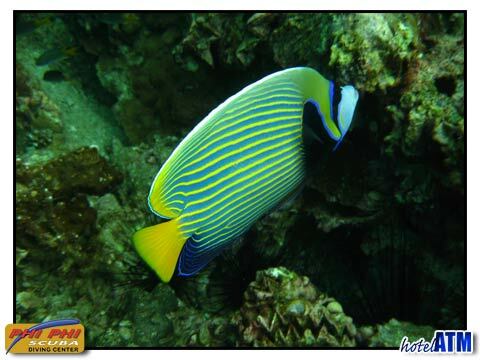 PADI courses are available to book online with the Phi Phi Scuba Divign Center. Recreational Fun Dives and Courses from Discover Scuba all the way through to Dive-Master are available on Phi Phi Island with some of the world's best dive sites in close reach. PADI courses are available to book online. 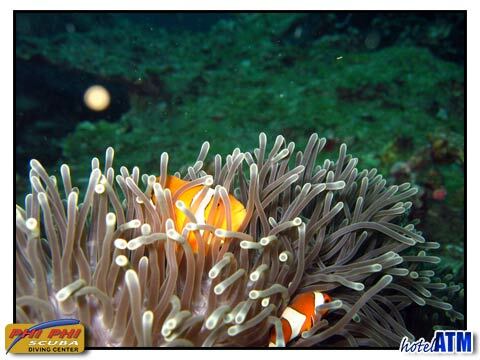 Recreational Fun Dives and Courses from Discover Scuba all the way through to Dive-Master. Reserving your space on a dive boat or on a dive course is a great way to get organized. Online dive reservations can be quickly processed through our comprehensive quotation form. We’ve partnered up with Phi Phi’s largest dive operator on the island who are equipped with the largest fleet of dive boats (7 boats at last count) allowing us to schedule dive trips daily to all dive areas, providing you with the greatest choice and convenience, plus talented multi-lingual instructors (ENGLISH, SWEDISH, DANISH, NORWEGIAN, FRENCH, GERMAN) to ensure you receive the best training. If you’ve not been diving for a while this is a great way to organize a quick Scuba Review before heading out to explore the best of Phi Phi’s Dive Sites.